Advanced Eyecare & Vision Therapy (Scottsdale) - Book Appointment Online! Dr. Esposito has been in practice since 1994 and is one of only a select number of optometrists who has completed post graduate residency training in both ocular disease and functional vision care. Dr. Esposito also received fellowships in both the College of Optometrists in Vision Development and the American Academy of Optometry. Dr. Esposito feels that most eye examinations are inadequate in assessing the entire visual system. He goes beyond 20/20 to ensure that each component of the visual system is working efficiently and is in balance with the others, in order to give you the best vision possible. Many visual dysfunctions can mimic and/or exacerbate conditions such as ADD, ADHD, Autistic Spectrum disorders and learning disabilities. 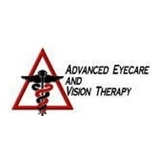 Our office is dedicated to providing the most comprehensive and state of the art vision care possible.